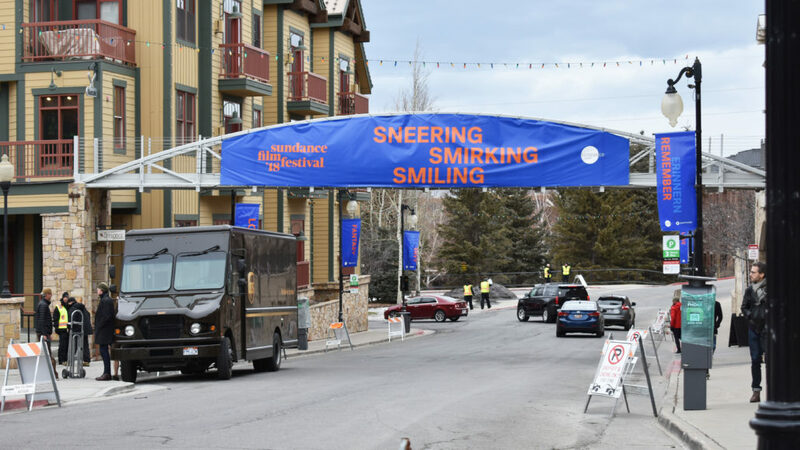 Hundreds of elements spread over 35 venues and 40 miles. 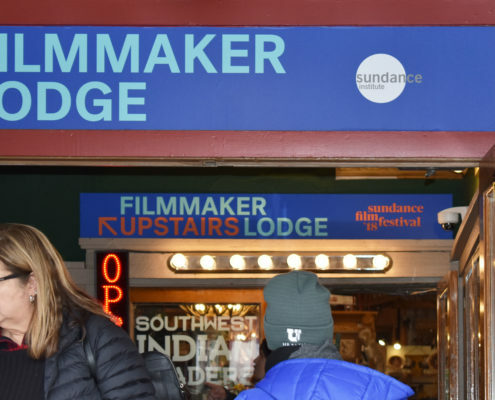 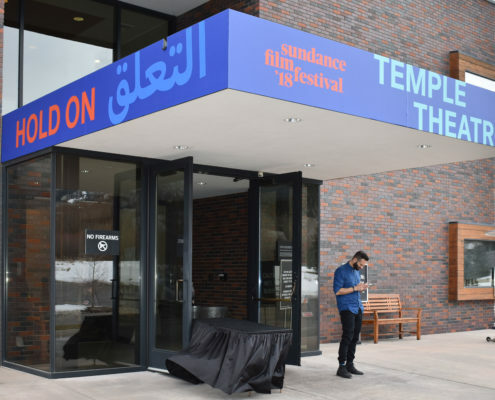 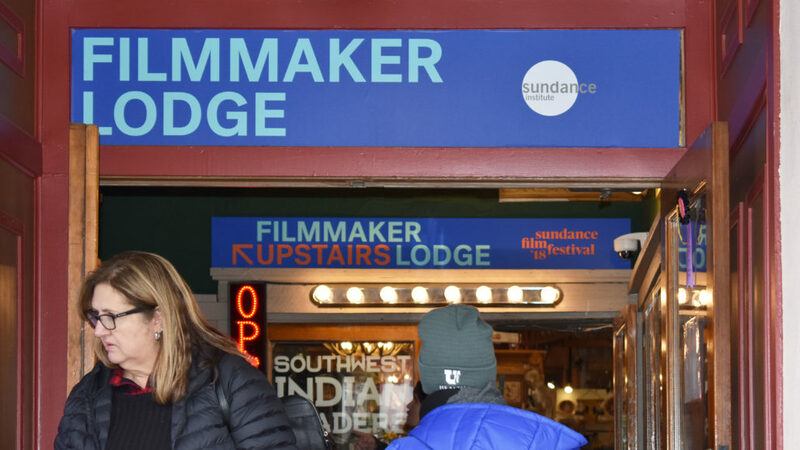 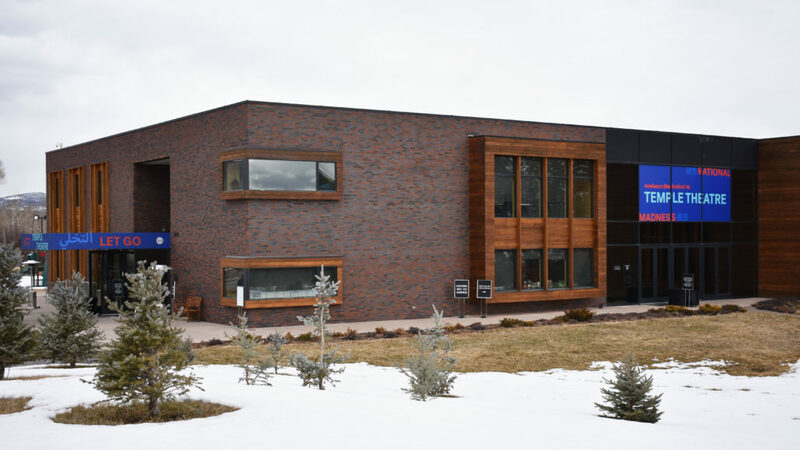 The Sundance Institute was founded in 1981 by Robert Redford with the objective to provide and preserve space for artists in film, theater and new media to create and thrive. 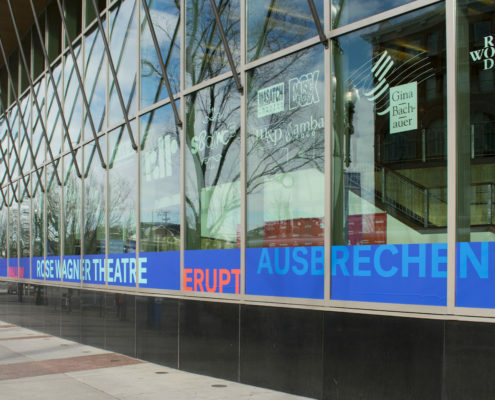 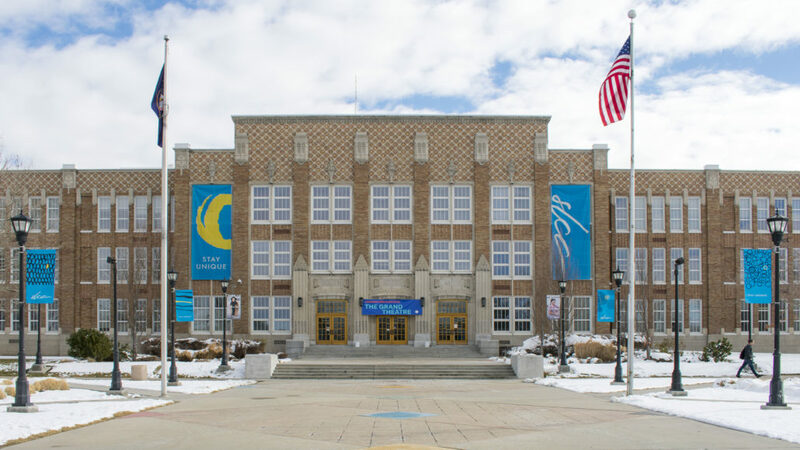 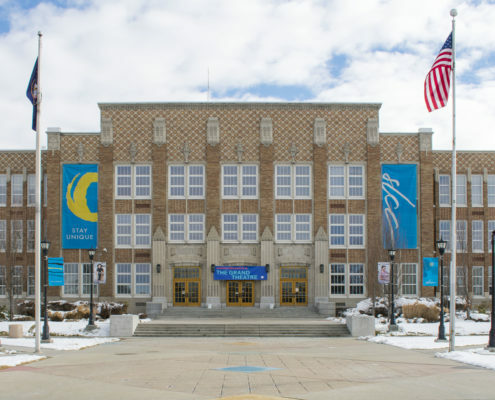 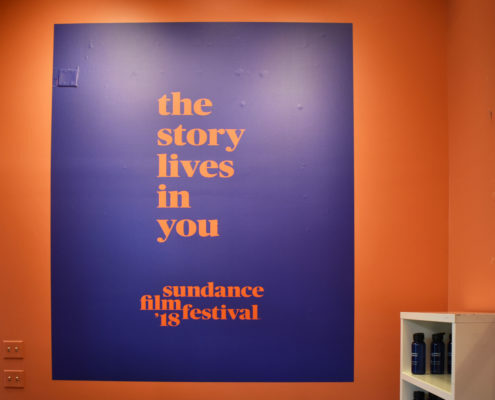 The Sundance Film Festival grew out of this effort, starting in 1985 and presented annually in Park City, Utah, with additional venues in Salt Lake City and Provo, Utah. 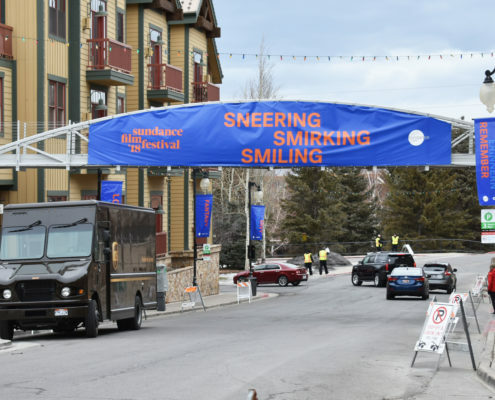 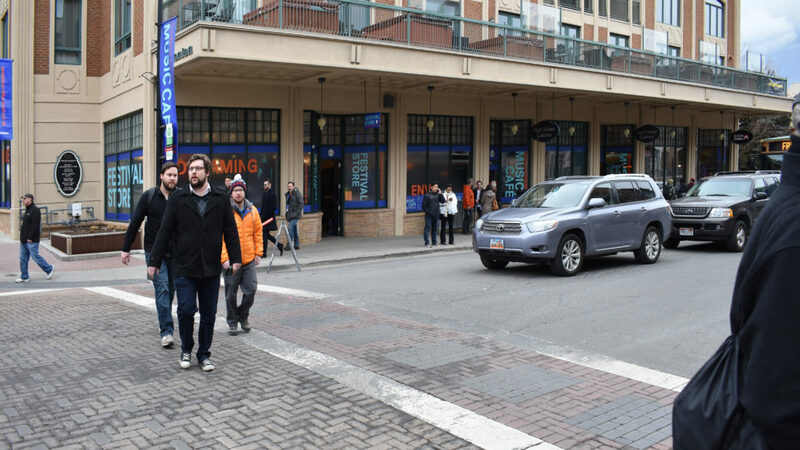 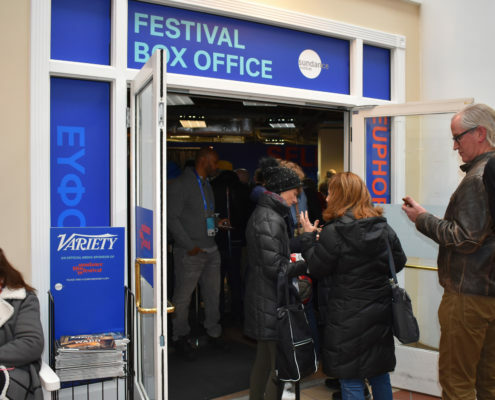 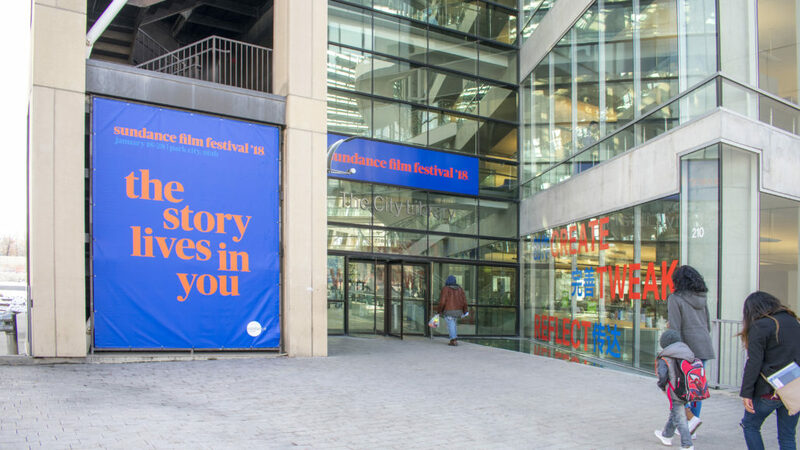 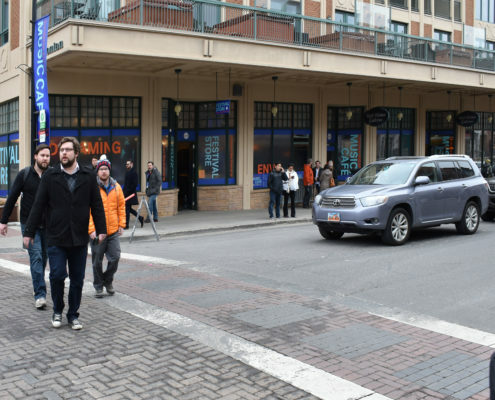 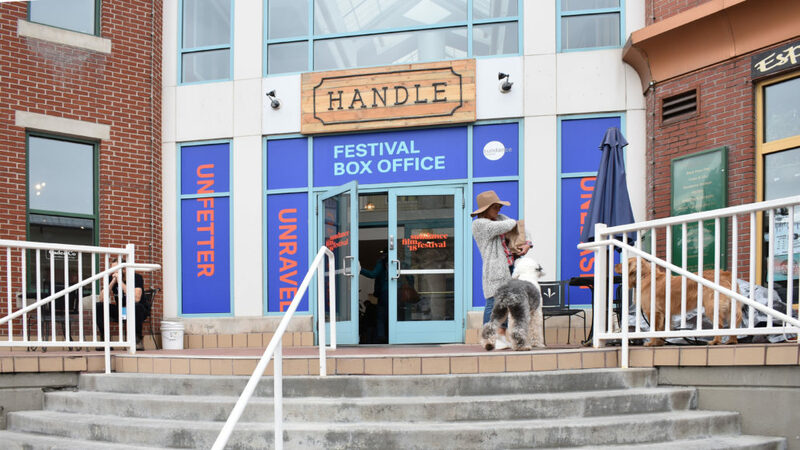 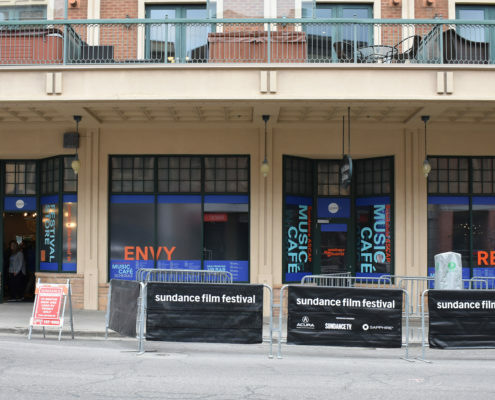 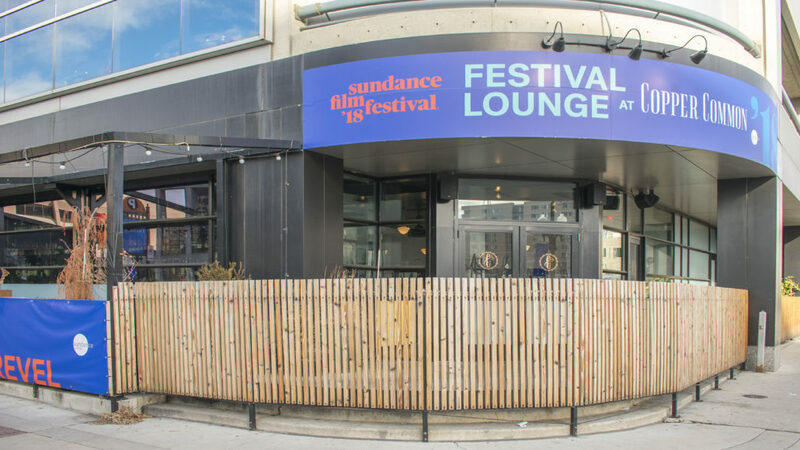 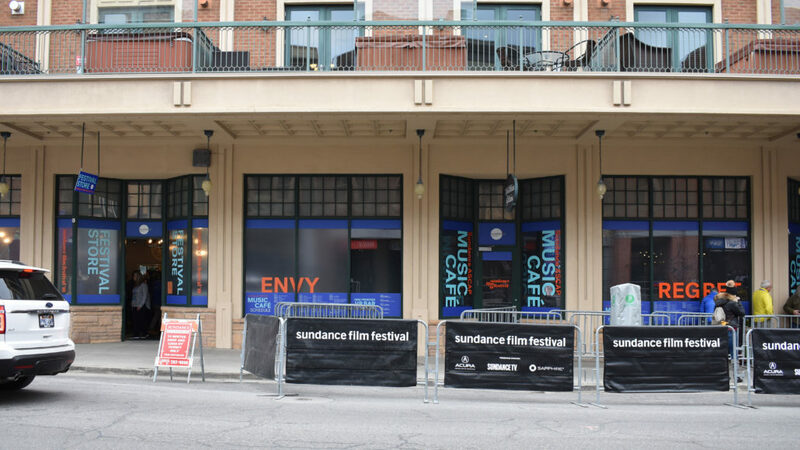 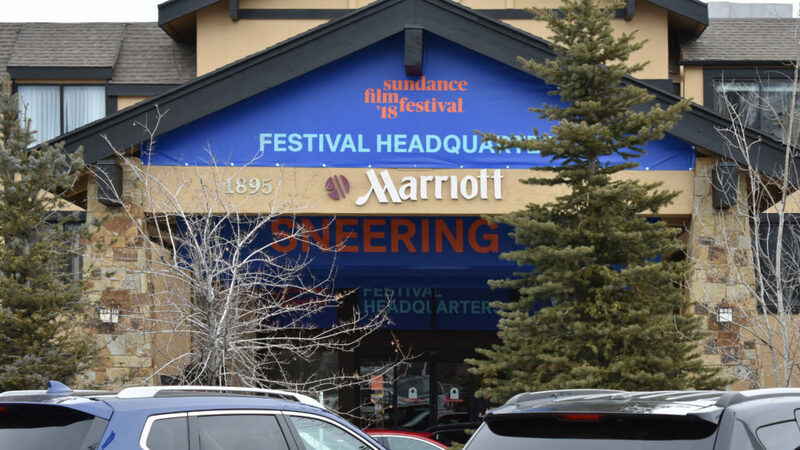 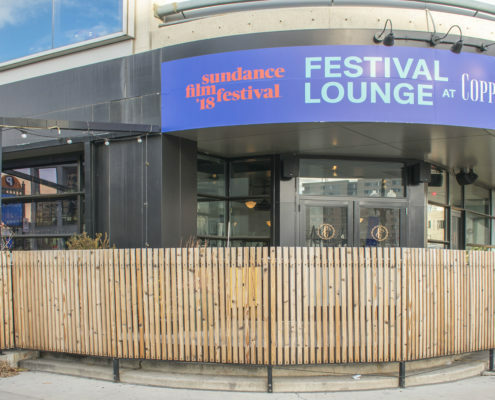 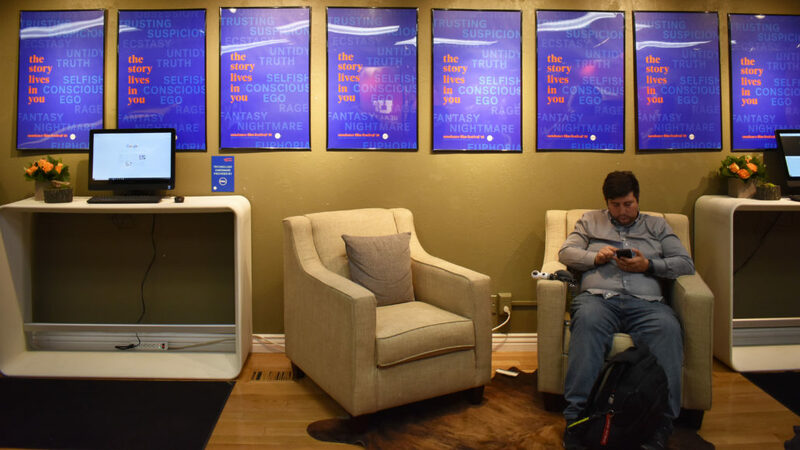 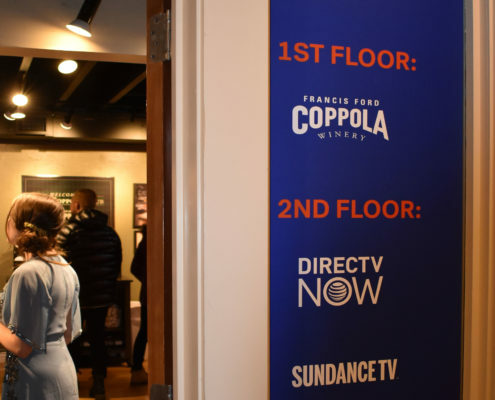 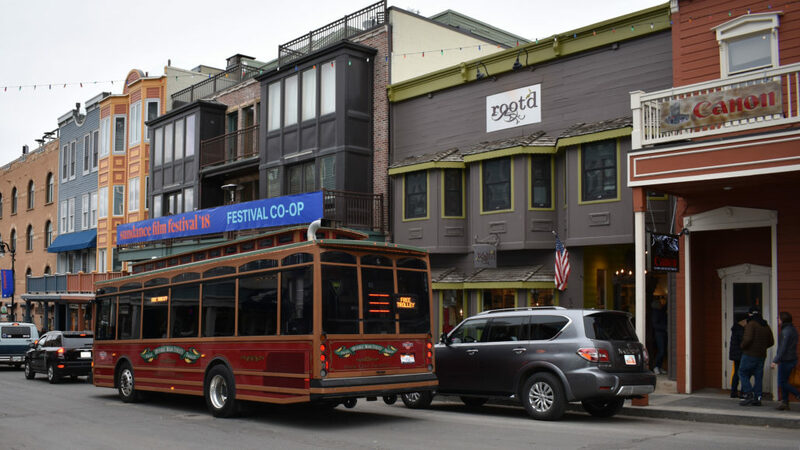 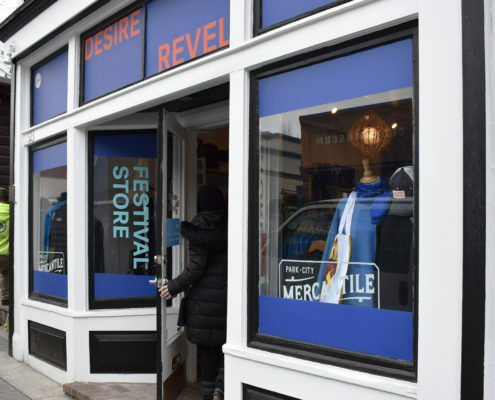 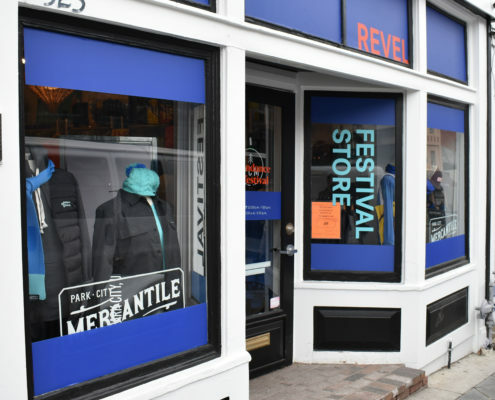 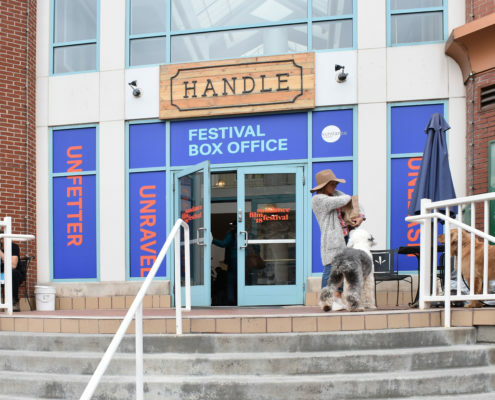 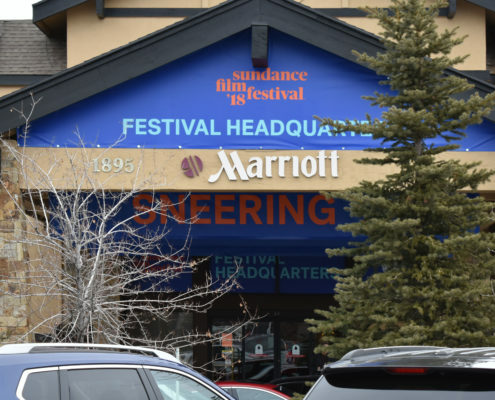 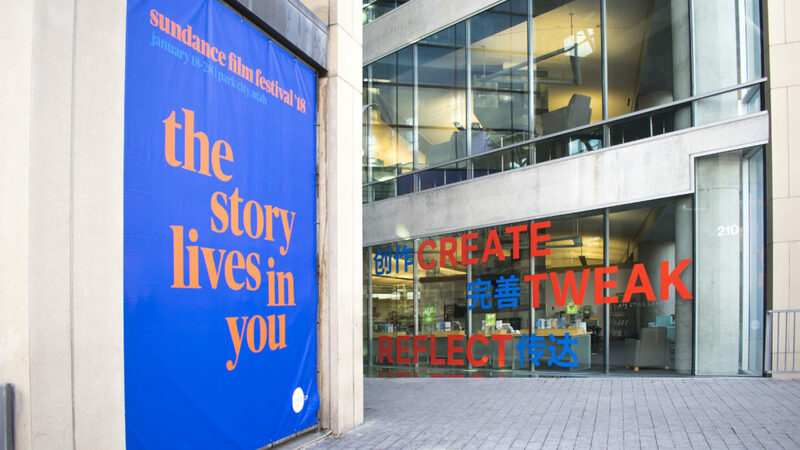 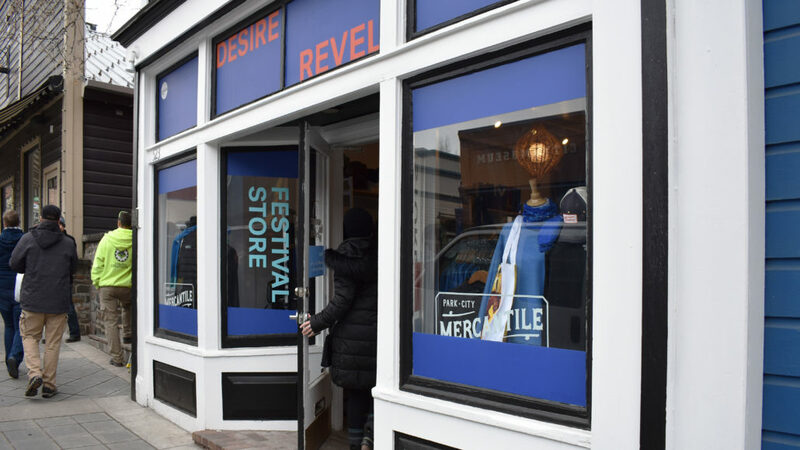 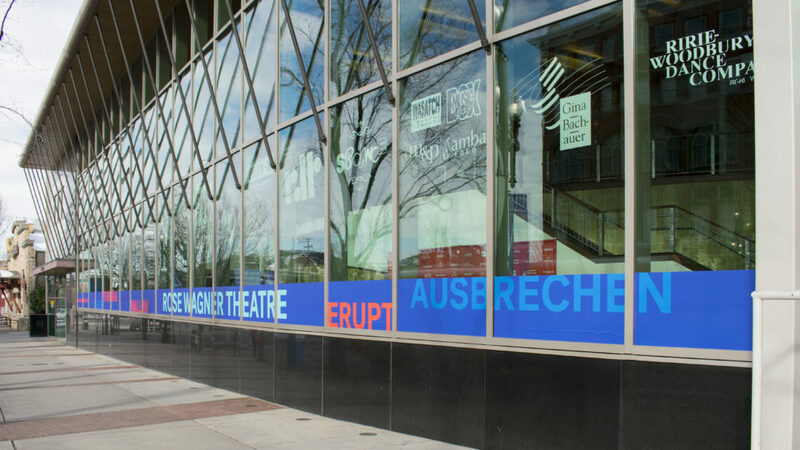 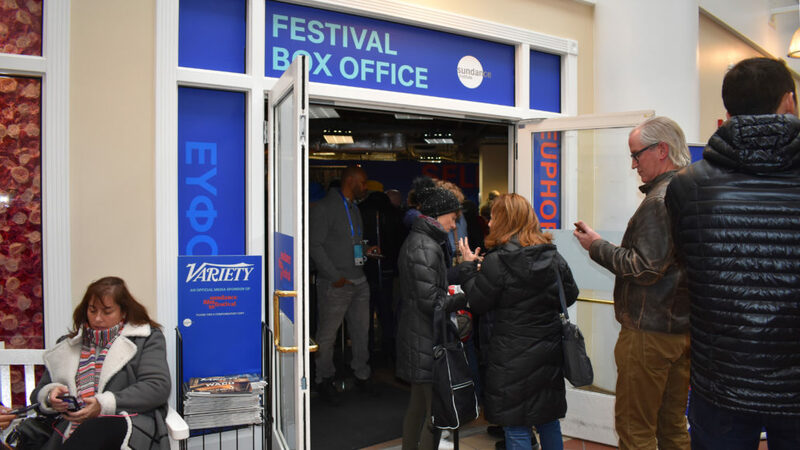 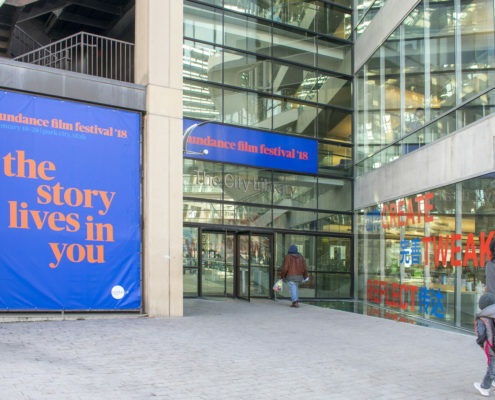 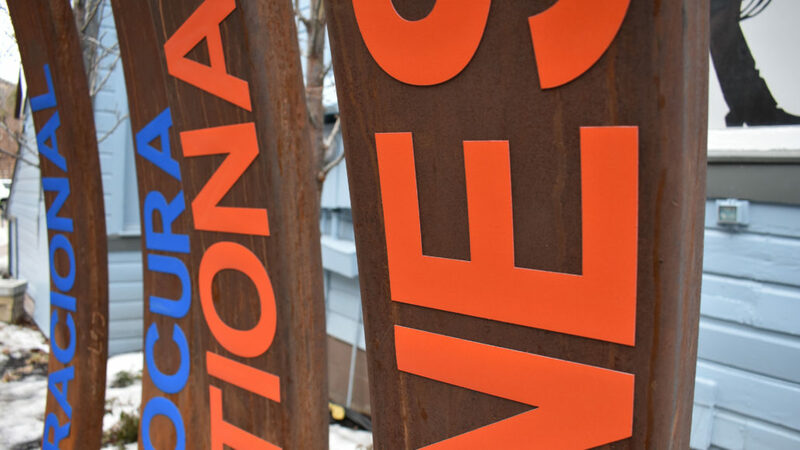 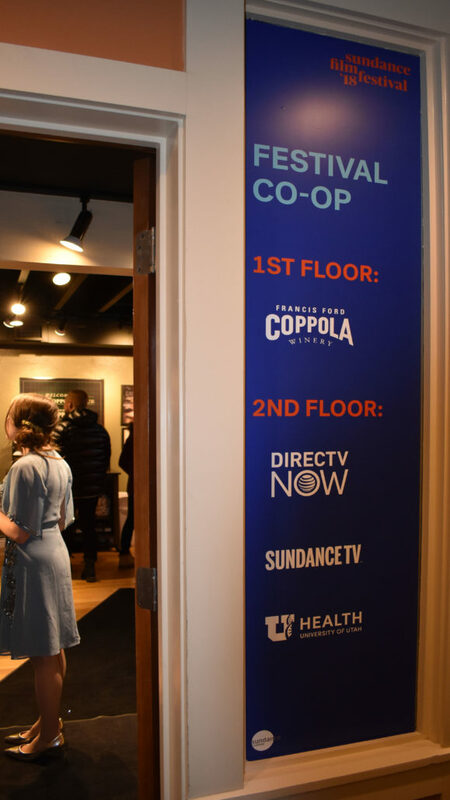 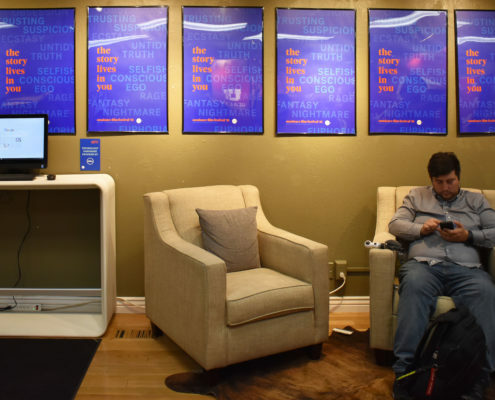 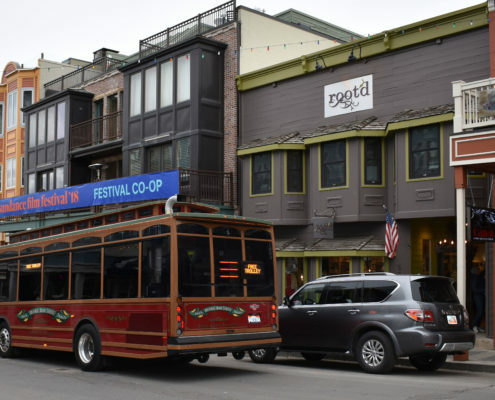 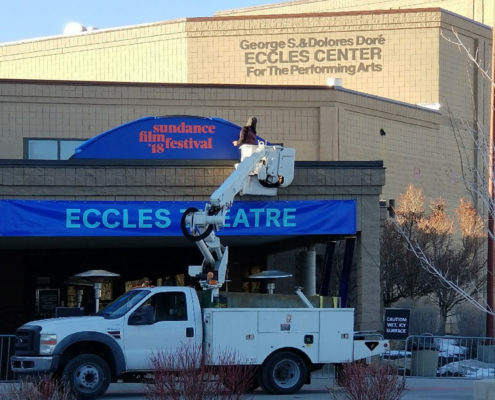 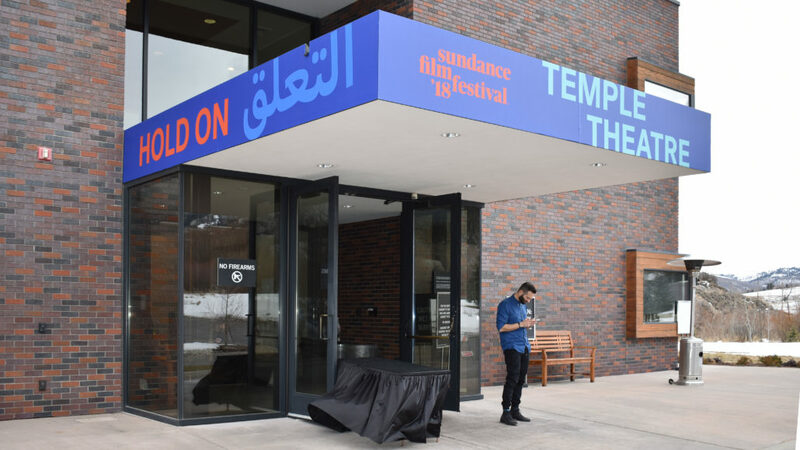 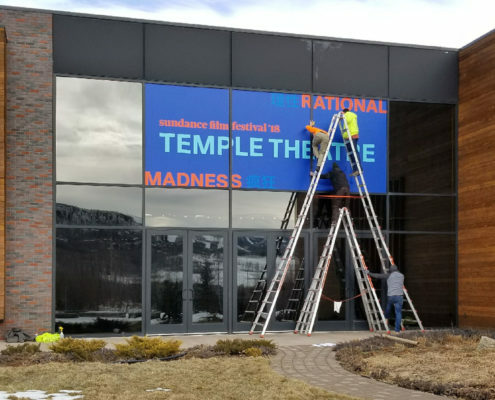 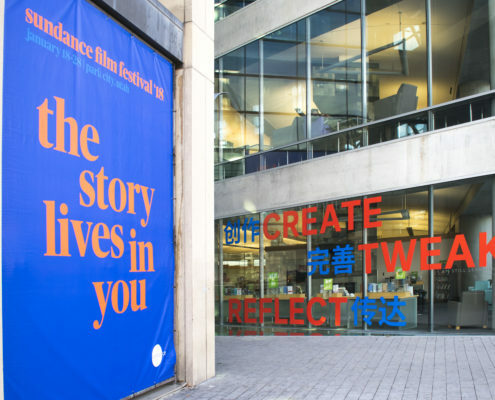 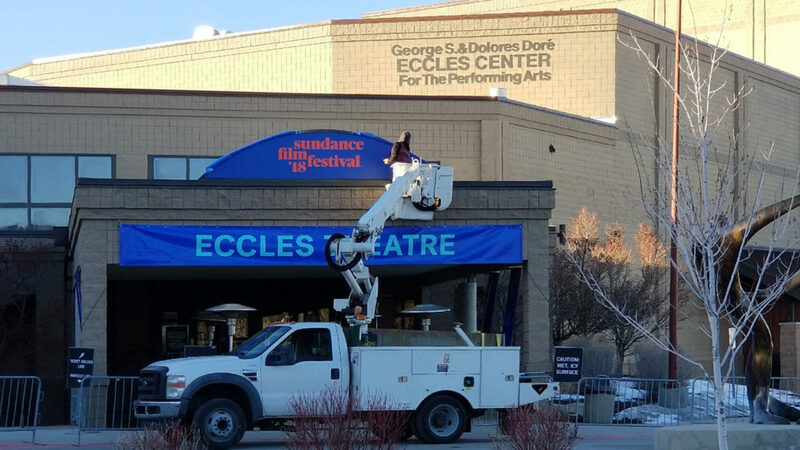 In preparation for the 2018 Sundance Film Festival, Vision Graphics was asked to decorate venues in Park City, Salt Lake City and Provo. 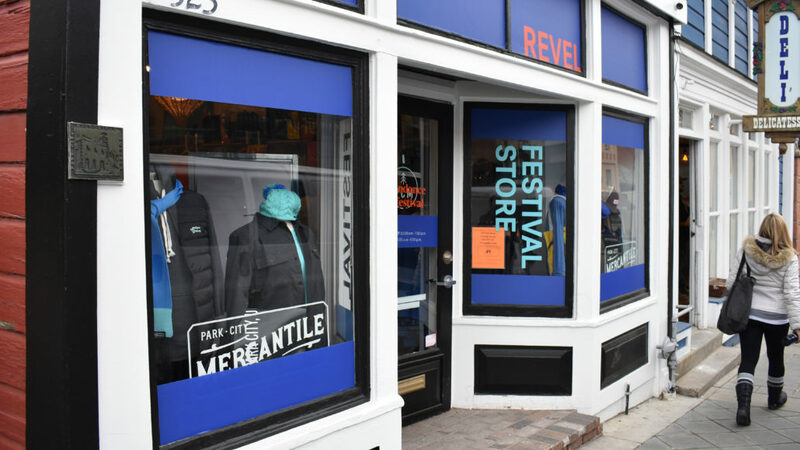 As the festival spans 10 days and attracts more than 71,000 people, it is critical that the event be branded and beautiful. 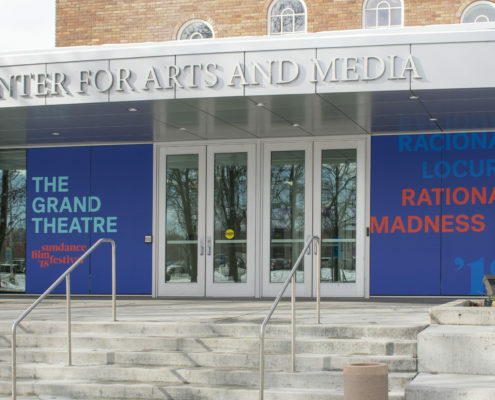 Challenges for this year’s graphics included weather, environment and location. 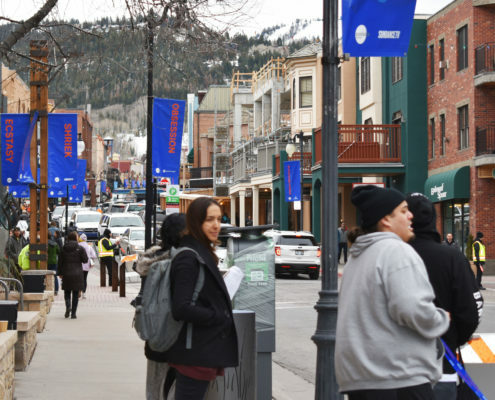 WEATHER: As Park City is known as a mountain ski resort, its altitude creates unpredictability in weather patterns. 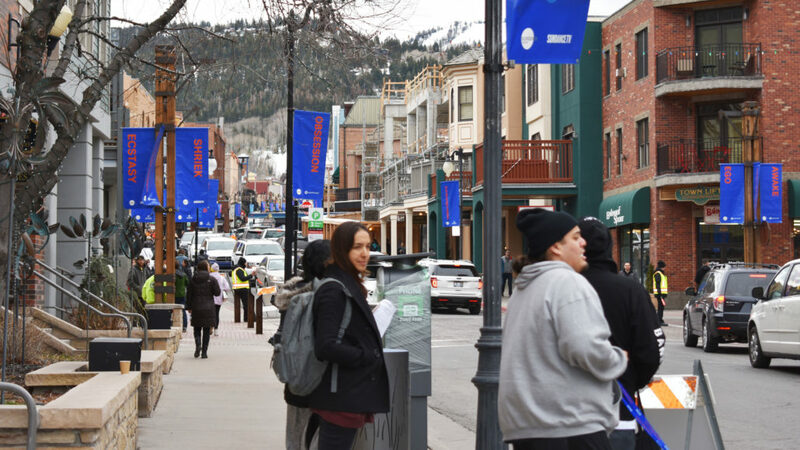 The graphic elements would need to maintain their vibrancy and adherence in temperatures potentially ranging from 50 degrees F during the afternoon to -10 F at night. 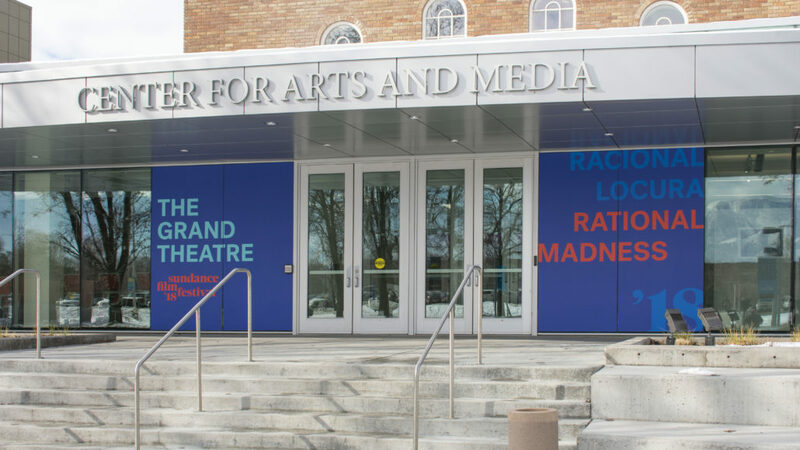 Additionally, the graphics would need to be ready in case of direct sun, rainfall or snowstorms. 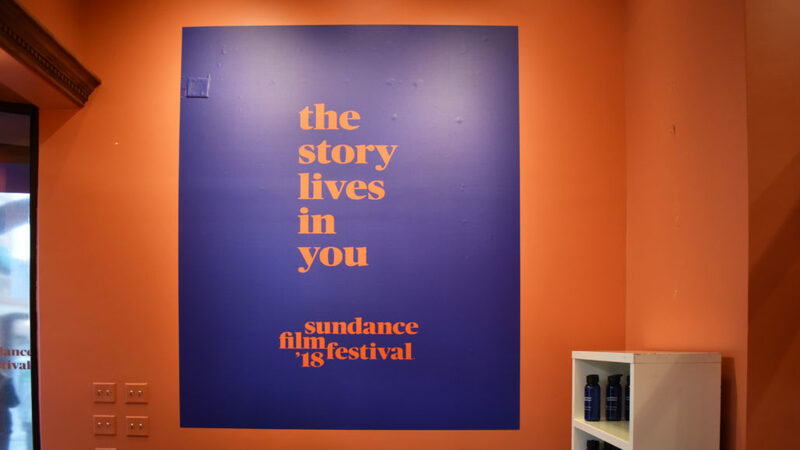 ENVIRONMENT: Graphics for this event were applied indoor and out. 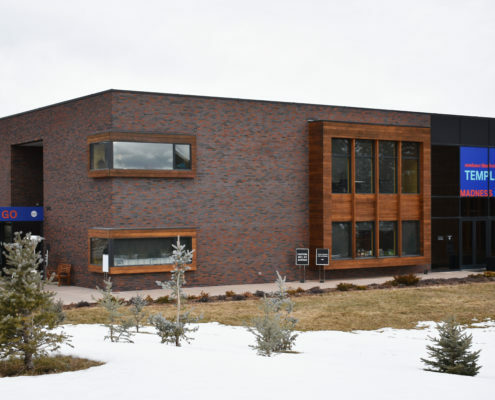 Surfaces included walls, windows, metal sculpture, walkways, fences and light poles. 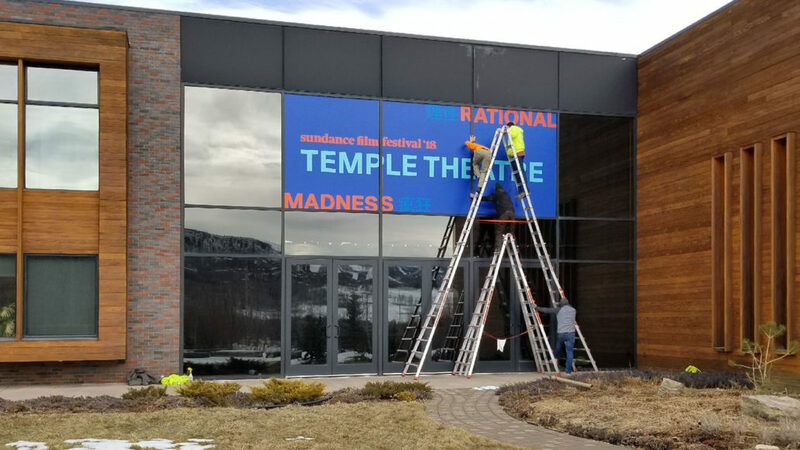 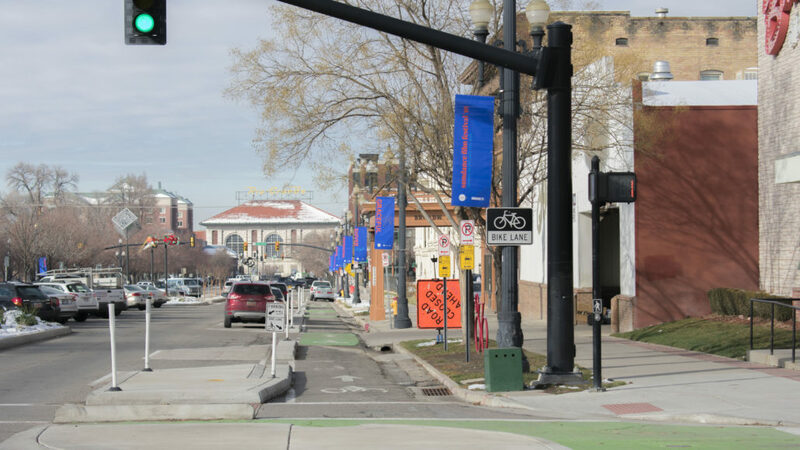 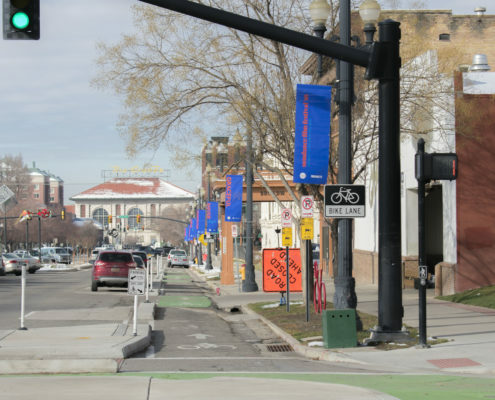 Vision Graphics recommended materials for each surface that would stand up to the traffic, stay in place and, yet, would be removed quickly and with no damage to the surface. 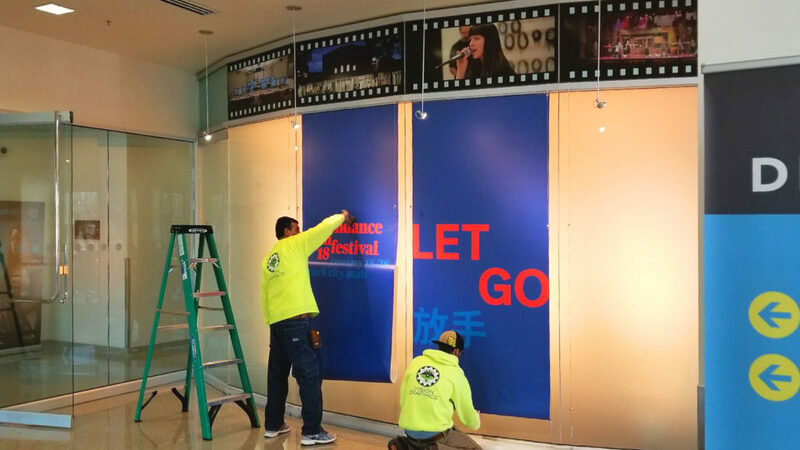 Vinyls, fabrics and magnetics all played a role. 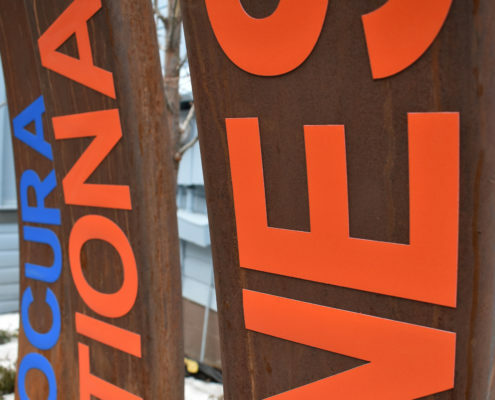 We invite you to browse our gallery. 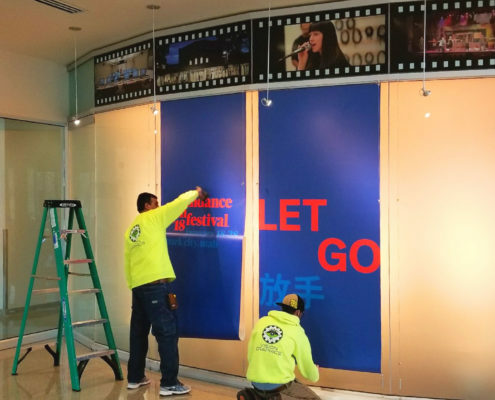 Also, keep Vision Graphics in mind as your leader in design, production and installation of event graphics.